It’s quite seldom I use references. Most doodles I do are just mindblurps, something that comes to life when I place my pencil on a sheet of paper. 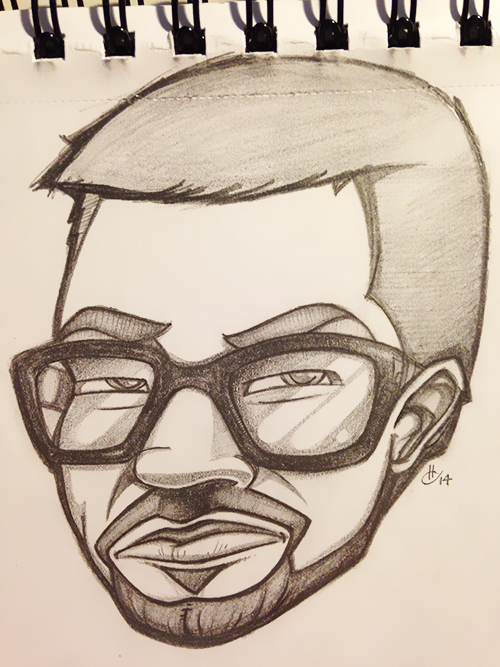 I wanted to do a cartoon version of a friend this time though, so I sneakily used his facebook profile picture to sketch something quick, so it’s still a bit rough and unfinished.